I'm not a huge fan of the month of January (why is everyone posting kale recipes?! Where are the brownies?!?) other than the fact that my most favorite food event of the entire year happens to be in January. Enter, the winter Fancy Food Show which takes place in my San Francisco 'hood every year. I've been going for the last few years (2011, 2012, and 2013) and I look forward to it more and more each year! Around January 2nd, I get super excited and tell the Hubster every other hour, "It's almost Fancy Food Show time." He pretends to be annoyed but I know he finds my enthusiasm adorable (yup, that's my story and I'm stickin' to it). What's to love about the Fancy Food Show, you ask? Thousands of charming vendors come out to showcase brand new and interesting food products and chat about them. Each product and company has a fascinating back story. Oh, and there are gazillions of yummy samples to be had! This year, I must have eaten about 245 kinds of chocolates (and I coulda kept on eating chocolate but at some point, my legs felt like jello from all the walking and I and my super full belly had to call it quits). 1) DeLallo Italian Foods. See that gorgeous display in the top picture? Yup, that's courtesy of the good folks at DeLallo who put out a giant spread of their olives, marinated mozzarella, and super delicious sun dried tomatoes. If I had a blanket, I woulda camped outside their booth and spent the entire show eating their delicious treats. 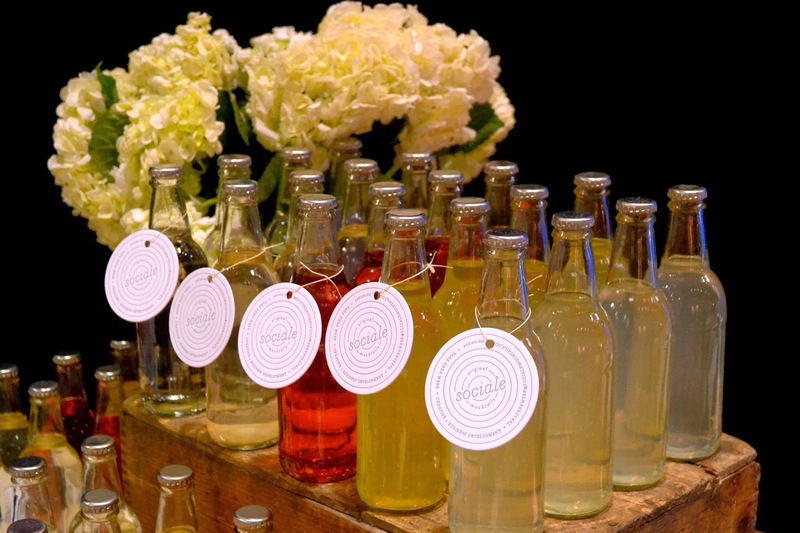 2) Sociale Mocktails. I've had my share of mocktails and about 99.99% of the time, they are sickly sweet concoctions that I'm sure taste nothing like their alcoholic counterparts. Needless to say, it was refreshing to try a mocktail mix that was light and delicious. And hooray for adorable packaging! This pregnant mamma wished she had a giant keg filled with their mojito blend! 3) Calico Cottage Fudge. 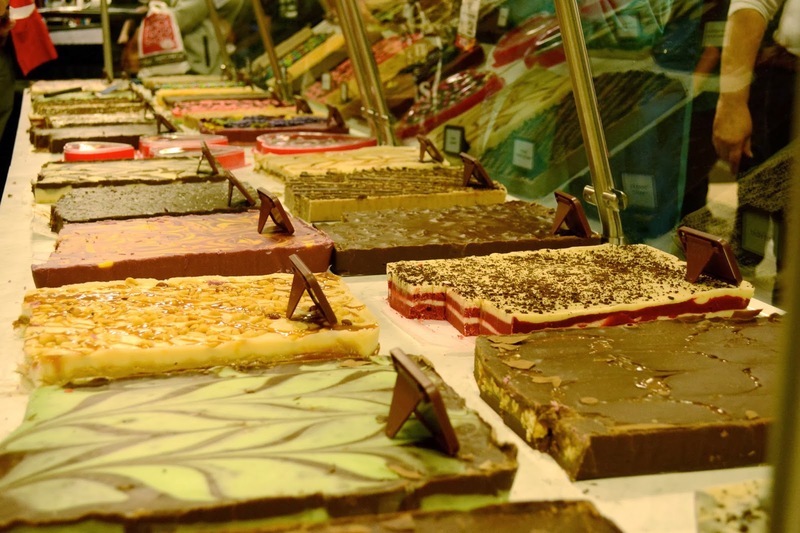 I confess, I lost it a bit when I saw these giant slabs of fudge. I was literally the kid in the candy shop, with all the pointing and screaming. Luckily, their representatives were super nice and let me sample every fudge (hello, salted caramel!) because otherwise, I likely would've had a tantrum right in front of their booth! 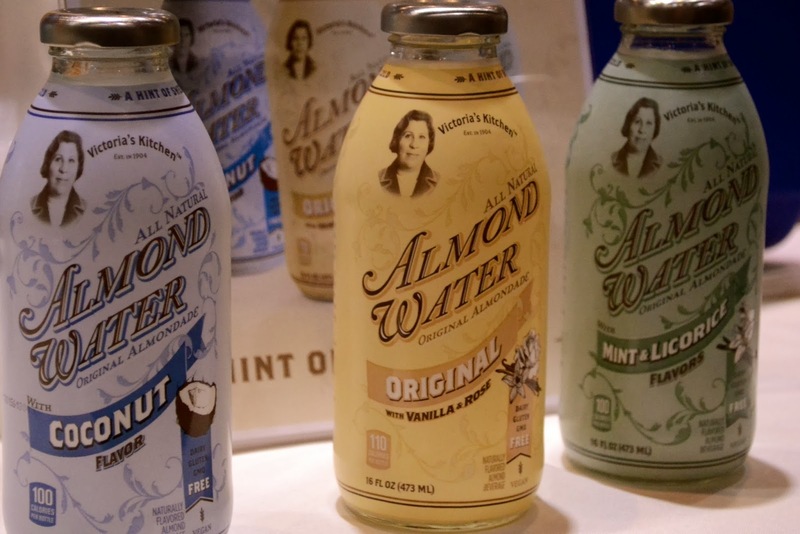 4) Victoria's Kitchen's Almond Water. Yup you read right, not almond milk, but almond water. Clear, refreshing water with the slightest hint of almond essence. I drank about six cups and would've kept right on drinking but for the fact that my bladder is being squished by the human I'm currently growing. 5) Duff Goldman. The Fancy Food Show is not for the claustrophobic or faint of heart! It's literally teeming with thousands of people grabbing samples, rushing from booth to booth and then all of a sudden, you see Duff! It doesn't matter how you feel about celebrities, you just can't help but grin when you see a bald man who puts fireworks inside cakes! 6) Cypress Grove's Humboldt Fog. 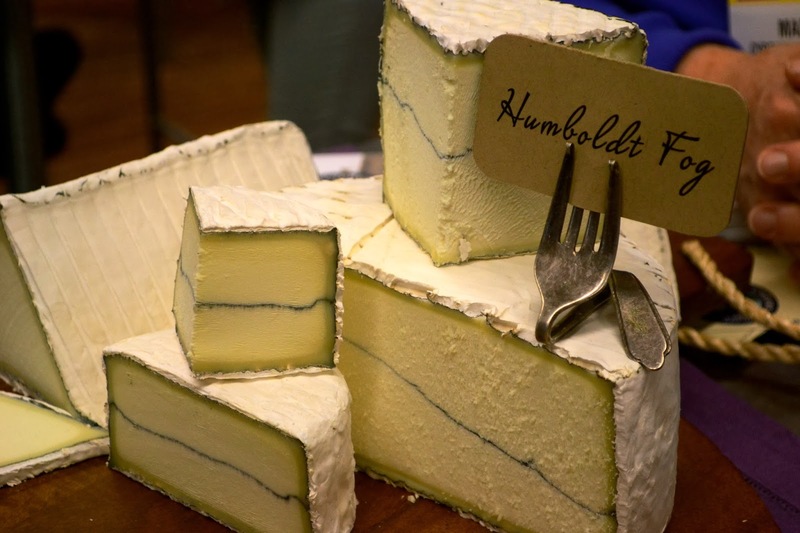 Can you believe I've lived in Northern California for so many years and have never tried Humboldt Fog? When I saw that Cypress Grove had won yet another award for their cheese, I knew it was high time to try it. And lemme tell you, it did not disappoint. This is some of the creamiest goat cheese I've ever had (and I don't even like goat cheese generally). 7) Sweetwood Jerky Company. I've had massive cravings for salt and protein this pregnancy and as soon as I tried this fantastic beef jerky, the Little Lady in my belly started doing a happy dance. Clearly, she's my girl! 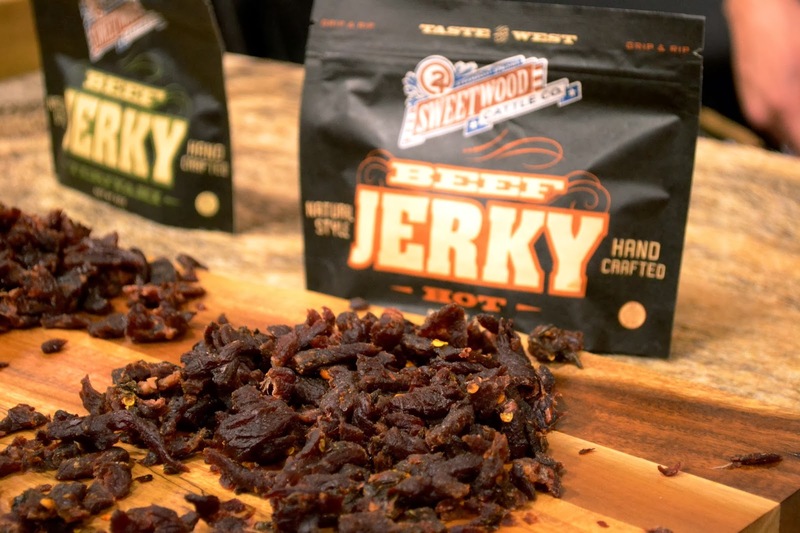 The fine folks at Sweetwood make their jerky from cattle raised on their very own ranch so they know exactly where the meat is coming from and how it's processed. 8) Jelly Belly Candy Company. I know, I know. 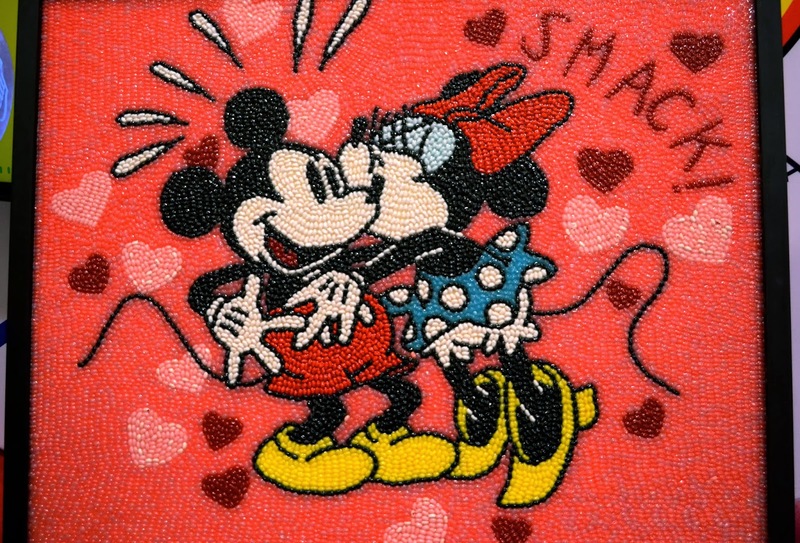 Jelly Belly is not a new company and they're certainly not marketing a new product but every year, they make adorable giant portraits wholly out of jelly beans. Remember their jelly bean Mona Lisa? This year's display was particularly close to my heart because Mickey Mouse and his friends are pretty much ever present members of our household. 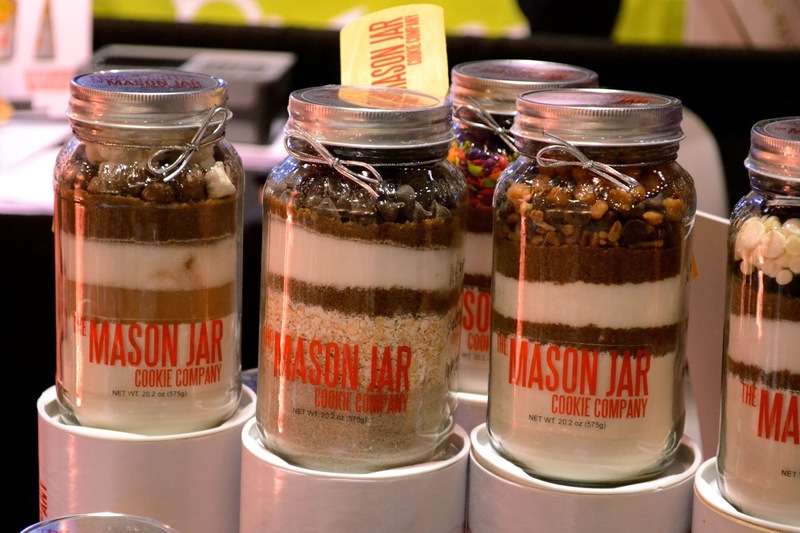 9) Mason Jar Cookie Company. Best idea ever. You choose the cookie base and add-ins (sweet treats, nuts, dried fruit! ), pick a name for your cookie concoction, and they bottle it up and send it to your loved one (or to yourself, because let's be real, that's who I'd send it to). I'm sure you could make this a DIY project but with my luck, it'd turn out like these Craft Fails so I'm all for buying these gorgeous jars. 10) Way Better Snacks. In all honesty, I know very little about the benefits of sprouted seeds and grains. I know they're better for you, and um, that's about it. But what I do know is that I like me some chips. Heck, I love me some chips. And their Sweet Chili Tortilla Chips were pretty darn fantastic. Oh, and because they're healthy, you get to eat way more of 'em. Cya next year, Fancy Food Show! I'll be back with my big grin and my stretchy pants! I was not compensated by any of these brands in writing this post. I'm simply sharing these products because I thought they were delicious and altogether awesome. Dixya, I would totally recommend it or another food show. It's so much fun to see so many neat, new products! I my, I wonder if that is what food heaven looks like. I might have just stayed right there and pushed people out of the way at the fudge table. I wanted to make it this year, but every year something happens and I can't make it. Not next year, marking it on my calendar right now. Gina, oh my gosh, you have to go especially since you're local. I look forward to it every year but not sure I'll make it next year what with two babies and all :) You'll have to go and sample for the both of us! 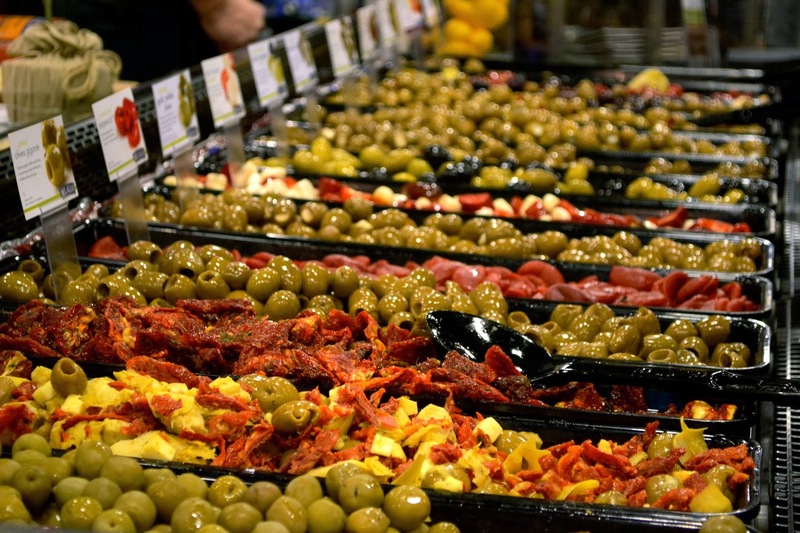 I am so envious you have a food show like that near you!! Michigan doesn't do such a thing. That I know of. Well OK, we have the big cherry festival in Traverse City up north every year in the summer...and our farmers market (eastern market) in Detroit is totally boss...but nothing like this! Metro Detroit takes more pride in the stupid auto show every year than anything else. What about showing some love for the foodies out there!! Glad you had fun! Your photos are beautiful! What a great look inside this food show. I would be there for hours! I've only gone to one show like this years ago and I'd love to visit one. Looks like so much fun! The mason jars are so cool! I'd be giddy with excitement at this show!! I'd be sampling everything. There is something about bald men, I'm married to one, but thankfully he doesn't put fireworks in his food. 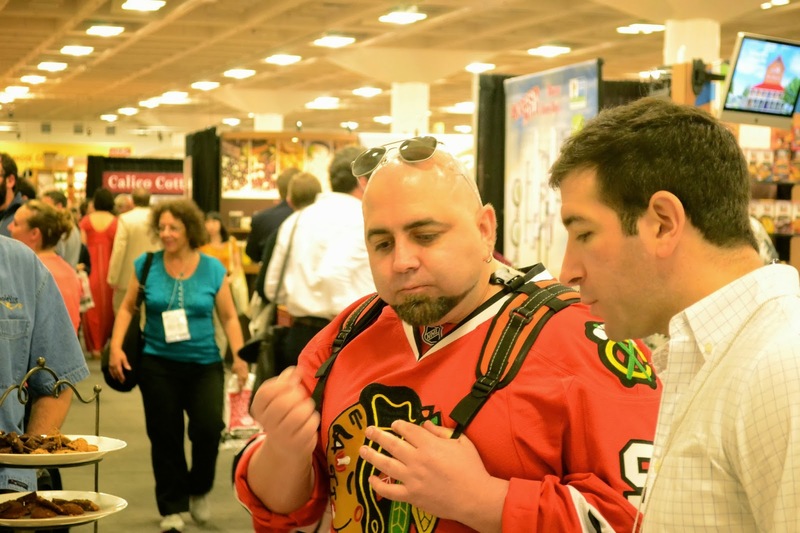 Great recap of your experience at the Fancy Food Show! I look forward to attending this every January. Hope to see you there in 2015! How I wish I could have made it this year, would have met you..:(. Love the show, it's so much fun right? Love this post Azmina! I need to go to this in 2015! Look forward to seeing you on Saturday!!! What a fun fun event! This would be my way to spend a weekend. And I just love the mason jar cookie idea too! wow! what a fun food show!!! Oh my...I always adore the restaurants and good food you guys have in SF! Now, more reasons for me to visit SF...or move there. :P What a yummy show!